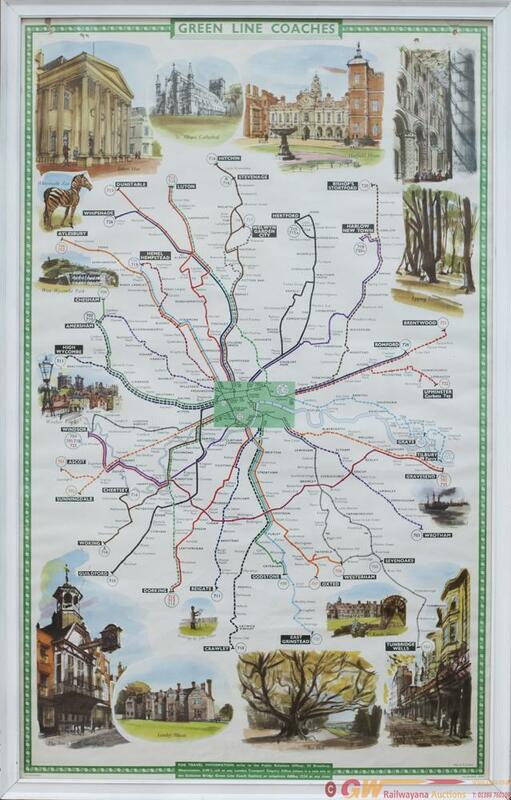 Poster GREEN LINE COACHES ROUTE MAP POSTER. Double Royal 25in x 40in. Shows map of all the routes from central London with images of places of interest around the outside. In good condition with a couple of small areas of damage to left hand corner. Framed and glazed ready to display.